Social media benefits supply chain management in many ways. Through their social channels, companies enhance communication with customers, generate demand, reduce operating costs, mitigate risk, increase productivity, and gain marketplace intelligence. Companies that aren’t active on social media are at a disadvantage because most of their customers, suppliers, and competitors are. Ready to leverage social media to empower your supply chain? Here’s some advice from Ed Rusch, vice president of global marketing at Philadelphia-based supply chain operating network provider Elemica. Be more competitive. Using social media, businesses can collectively sense and properly respond to supply and demand changes in the market. Move beyond your own four walls and focus more on the needs of customers, suppliers, and logistics providers. Broadcast shipment delays. 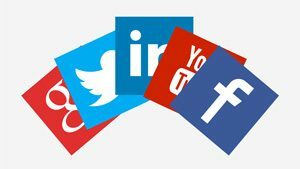 Social media networks allow shippers and carriers to communicate effectively and to alert customers of delays quickly and in real time. Discover new business partners. Use a supply chain operating network with social media extensions. This enables you to search the network by equipment type, geography, material, and capacity. It also allows you to solicit participants on the network for suggestions. Gain visibility. Increase transparency across the entire supply chain to better understand where to source raw materials through enhanced partner discovery strategies, and with risk management or business expansion goals in mind. Conduct research. Check the reputation of vendors and potential supply chain partners by capturing customer experiences of other users across social networks. Take charge. Be proactive instead of reactive to quickly and intelligently respond to market volatility, and gain more flexibility to meet the specific needs of individual customers. Become better acquainted. Tap into social media to get to know customers and partners more intimately. Building that relationship increases effectiveness and retention, and promotes cross-sell opportunities. Rethink processes. Change can come from any level of an organization, not just from the top down. One person’s social media post can generate massive change. For example, a customer service rep can post an experience or comment that will implement changes across the entire organization. Collaborate. Social media lets you join forces on a larger scale than traditional communicaton methods such as email or phone. The larger the network, the more value the platform provides to people who are attached. Utilize network-based business analytics. These tools enable businesses to know not only how they are doing based on their metrics, but also how they are doing compared to others in the industry. Reprinted from Inbound Logistics with permission. You can read more about logistics topics at Inbound Logistics online. Subscribe to their e-newsletter to receive these timely articles in your inbox.